This beautiful cove deserves its name. There are frequent sightings of whales here. Located on the Fundy side of the North mountain, this spot offers a great view of the Bay of Fundy. 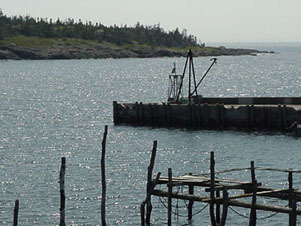 There is a modern harbour here which is used by the local fishermen. The fish plant is now closed and is falling down. Looking at its still impressive size is a reminder of how life here has changed. 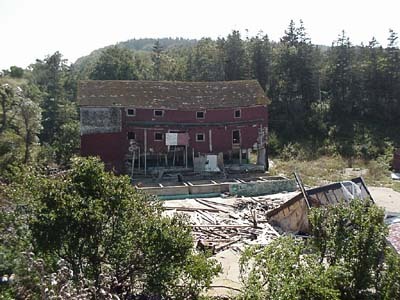 Once a thriving business, it succumbed to the economics of centralization, international trade and declining fish stocks.